Apple’s busy gathering all the parts for this year’s iPhone lineup, as more reports for the trio come to light today. Despite a good five months left before the 2018 iPhone crop is official, details for all three devices provide us with adequate information to create a preliminary picture. Right now, Apple is expected to launch three new iPhones. These are the iPhone XS, the iPhone XS Plus and the iPhone 9. Two of these will succeed the iPhone X and the third will mark for a cheaper version of Cupertino’s premium smartphone features. On that note, while Apple might be desperate to get rid of Qualcomm, it won’t be able to do so this year. Take a look below for all the details. While Apple’s iPhone 7 lineup were the first smartphones from the company to feature custom Image Signal Processors, they also marked a crucial victory for Intel. For the first time in iPhone history, Intel’s modems were able to compete with Qualcomm’s and started to feature on Apple’s flagship smartphones. This also followed by accusations from Qualcomm’s end that Apple was tinkering around with its modems to keep them on par with Intel’s hardware. 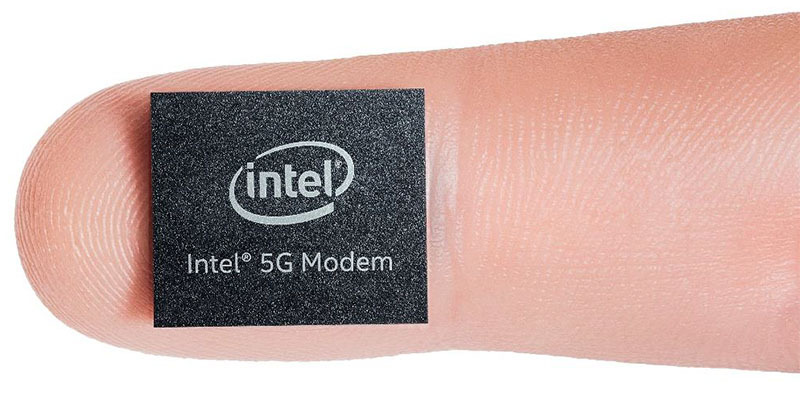 Now, fresh information from an alleged inside source suggests that soon, Intel will completely take over modem supply for Apple’s smartphones. This year, Santa Clara will provide 70% of the total iPhone modem demand. The company has started with its 14nm chip fabrication and current yields are not satisfactory to keep up with Apple’s complete needs. At the moment, Intel is just above a 50% yield, which doesn’t allow the company to produce adequate chips to meet all of Apple’s orders. Therefore, while the computing giant will cater to 70% of Apple’s needs, Qualcomm will provide the rest. Mass production will start in June, and according to the source, Intel’s engineers are confident that they can improve yields by then. Therefore, if they succeed, then Intel will supply Apple more than the 70% mentioned above. If they don’t, Qualcomm’s ready to make up for the deficit. Sounds like a win-win for Apple in any case. Next year Intel will take over completely and usher in 5G for Apple’s smartphones. Thoughts? Let us know what you think in the comments section below and stay tuned. We’ll keep you updated on the latest.